1.) 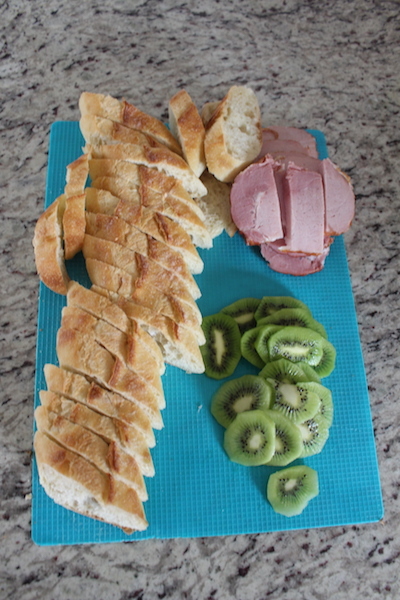 Cut your bread into thin slices. Also cut your Canadian bacon. Peel and cut your kiwi. 2.) 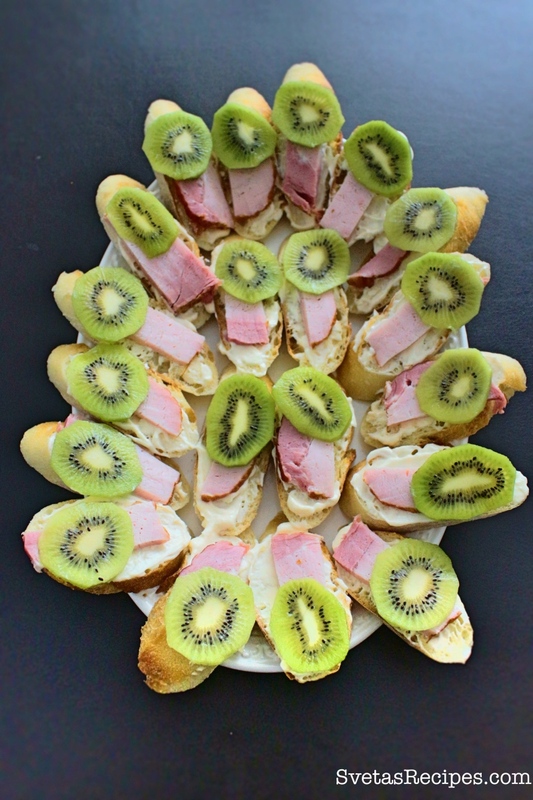 Using a spoon spread mayonnaise onto each pieces of bread, then place down a pieces of bacon and last but not least put your kiwi on top. Place on a serving dish and enjoy. 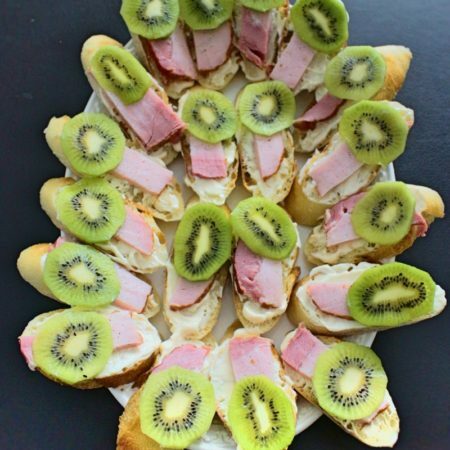 Kiwi sandwiches are great for preparing when you're going to have unexpected guests, It combines both taste and healthiness making a great combination. Cut your bread into thin slices. Also cut your Canadian bacon. 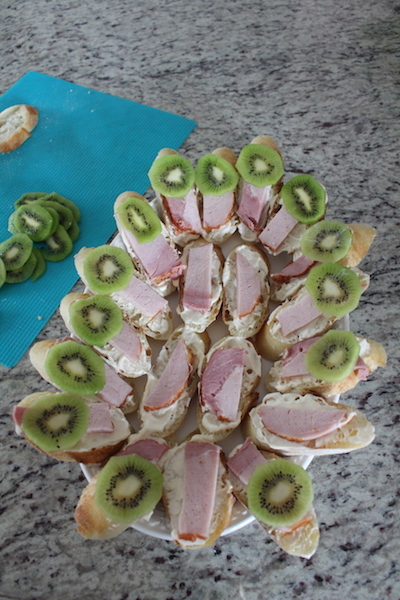 Peel and cut your kiwi. 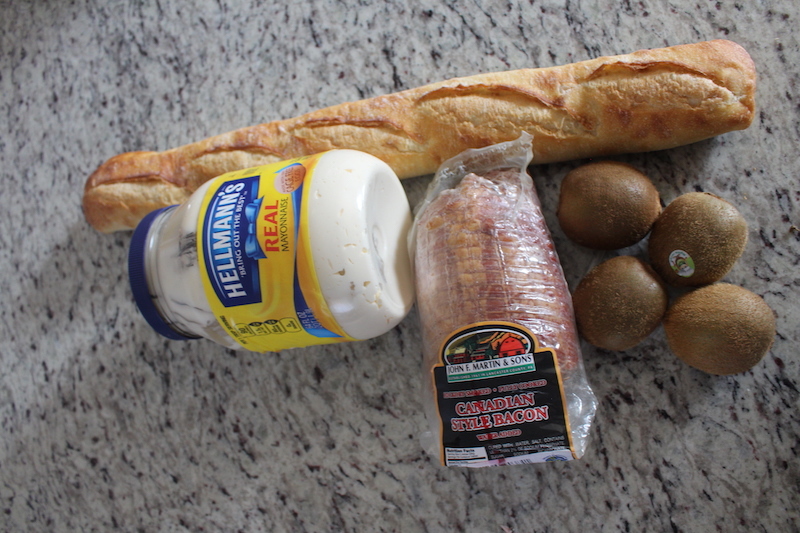 Using a spoon spread mayonnaise onto each pieces of bread, then place down a pieces of bacon and last but not least put your kiwi on top. Place on a serving dish and enjoy.